Jun 3, 2018 - One of the world's largest web hosting providers, 1&1, has unveiled its offering of a free SSL wildcard certificate with every hosting package, to assist website operators to protect their domain including all subdomains. An SSL-encrypted website is identified by HTTPS and a green lock symbol in the web browser, ensuring visitors that it is a secured website that they can trust. Nov 11, 2016 - Major Stake of United Internet to be Sold - United Internet has announced they will sell a major stake in their web hosting business, which is headquartered in Montabaur, Germany. The company is a major player with many global brands including WEB.DE, GMX, 1&1, Arsys, Fasthosts and mail.com. The total number of customers tops 16 million combined. 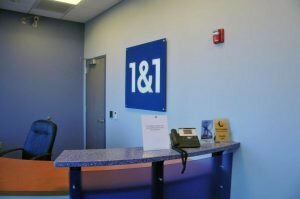 Jul 17, 2015 - 1&1 Unveils a New Generation of Cloud Servers to US Market - 1&1 Internet, Inc. (1and1.com), a global leader among Web hosts, today announces the launch of its new 1&1 Cloud Server line in the United States. Now companies, developers and integrators looking to move their Web projects and business applications to a flexible and efficient environment can take advantage of impressive functionalities and ease-of-use with this new Cloud solution. 1&1 Cloud Server is also well placed to satisfy existing Cloud users who wish to work within a fully flexible and affordable environment. Apr 15, 2015 - Better performance and faster servers with an additional SSD - Want better performance on your root or managed server with innovative technology and full control over your data? For customers with these requirements, 1&1 now provides even more options for increased performance for your specific needs. Customers can now enhance their 1&1 Dedicated and Managed Server with a Solid State Disk (SSD). Among other benefits, this allows for more local storage space when used in combination with the integrated Hard Disk Drive (HDD). 1&1 Internet Inc (http://www.1and1.com), the world's largest Web host by known servers, is the first Web hosting company to globally launch dedicated servers with Hexa-Core processors (also known as Six-Core AMD). 1&1 has expanded its server portfolio with two additional premium models for professional use as a Web or application server. The advantages include outstanding performance with high-level availability and supreme reliability, with the servers benefiting from excellent connectivity to 1&1's best in class data centers.